It has been months since the last time I reviewed Korean products, but I promise to make more of them! Well, if you're Korean, then the name 'Regen' isn't a new thing for you. Regen is the largest Korea leading beauty medical group which includes dermatology, dentistry and cosmetic. Regen Medical Group has received The Medical Korea Awards from 2010 to 2014 consecutively, which is considered one of the most prestigious and authoritative awards in the medical profession. Plastic surgery is very common now, and we all know that most of the best plastic surgeons are in South Korea. CNN has named Korea as one of the most popular 'hot destinations' for medical tourism in Asia, there are more than 7.5 million visitors come to Korea with more than 80,000 of those visitors coming expressly for the purpose of having a medical procedure done; such procedures ranging from cyberknife surgery to plastic surgery and more. I mean what not to believe, most of the hospitals in Korea belong to the private sector and are staffed by doctors many of whom have international qualifications, the hospitals are equipped with the latest technology and medical equipments as well. I personally have known Regen for quite a while now. It all started when I read a medical tour of Qiu Ting (QiuQiu), a famous blogger from Singapore, she did a nose job and fat-grafting in Korea with Regen Medical Group last year, you can look it up if you want, she wrote every detail from the consultation 'till the result. Besides QiuQiu, there are lots of famous Korean celebrities who have had great experience with Regen. Anyhoo, Regen also creates cosmetics and I got a chance to try them out! :) I've tried their face masks called 2 Step Synergy Effect Mask. 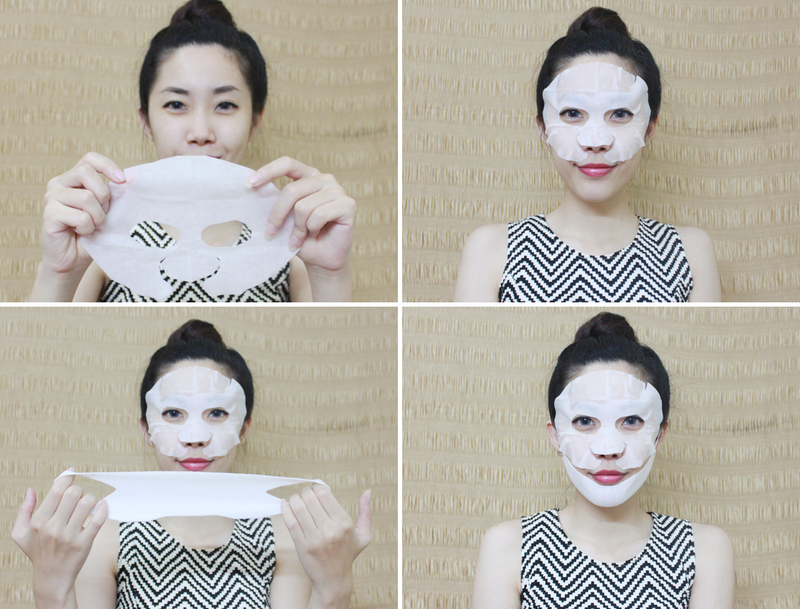 They have 5 variants of masks: Moisturizing, Whitening, Wrinkle, Pore, and Nutrition. You could buy it per sheet for KRW 5,000 or you could also buy it in 5-in-1 pack. 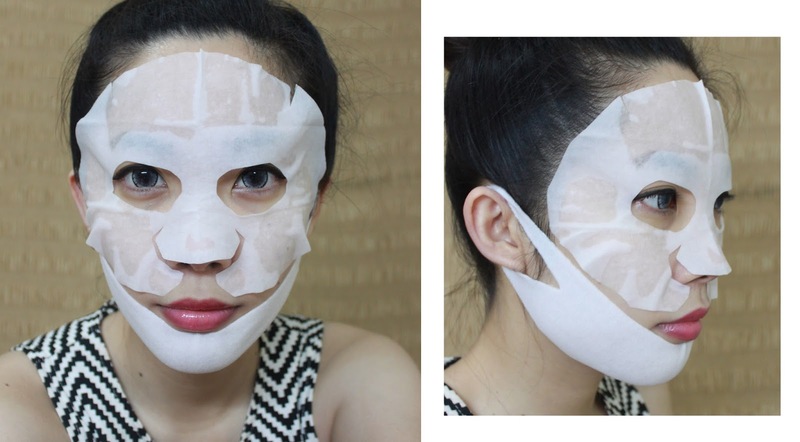 I have tried so many mask sheets in my life, since mask sheets is my favorite kind of masks, it is practical, easy to use and really hygienic because it's disposable. But I must say that this 2 Step Synergy Effect Mask is the most interesting mask that I've ever used!! It has two steps, you will get two separate masks, the first one is for your face from forehead to cheeks and the second one is to define the V-line. I've never tried a mask like this one before but I think it's great to fix facial contour because it lifts up the skin. When wearing the bottom sheet, pull both ear holders at the same time and hang them on the ears. Sweep and lift the jaw line while doing so. One will be able to manage a facial V-line with no pain. This is the perfect mask for dry skin, because it helps to keep your skin hydrated and moisturizes skin really well! It's also great for winter when skin suffers from harsh cold climate. This mask gives a quite noticeable instant whitening effect after each use, it could brighten up your skin tone if used constantly. It could minimize acne scars, skin pigmentation/discoloration. It has wrinkle care to give skin elasticity and define face line. This mask helps to reduce the appearance of fine lines and wrinkles. Recommended for adults in their 30s or older, for a firmer & more elastic skin. This mask has sebum care and pore care to reduce acne. It doesn't irritate my skin or make my skin dry at all. Recommended for acne prone skin. This mask has nutrition care to smooth out skin. Treat yourself with this mask for healthier and softer skin! The 2 Step Synergy Effect Mask has a calming effect on my skin, the scent is sweet but not too strong, make me enjoy this mask even more! They have 5 different types of masks, so you could choose based on your skin problem. My favorite one is the Whitening because it brightens up my skin after use :) Aaaand, if you wear the mask constantly (1-2 times every week), you could have slimmer jawline as well. If you watched StoryOn's 'True Live Show' on 25th July, you must've noticed that I wasn't the only one who love this mask sheet! Paris Hilton showed her secret beauty method and Regen Cosmetic's 2 Step Mask Pack is her favorite item, especially to ease the dryness when she has to go through long air flights. You could buy 2 Step Synergy Effect Mask directly from Regen Cosmetic website. never heard of the brand but the mask is very unique ! itu beneran paris hilton pake juga? feeling like paris hilton wanna be..